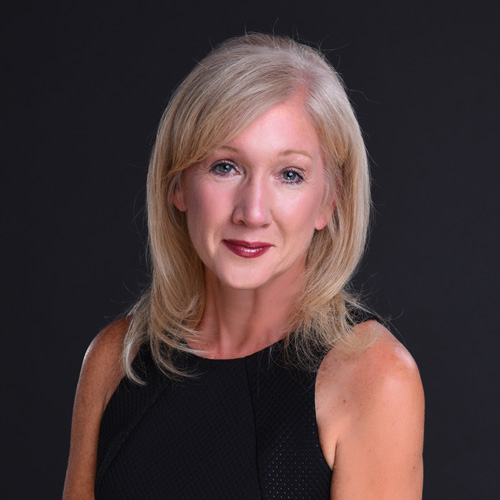 Linda McEwan is a highly experienced business professional who founded Smashing Pictures, a Toronto-based production company specializing in design, renovation, and real estate programs for major Canadian broadcasters and cable networks. Linda’s early career was primarily with the CBC, where she worked as a producer for The Journal and Life: The Program, a producer/reporter for The Health Show, and a reporter for news programs in Winnipeg and Halifax. After the CBC, she then became a producer for CTV’s W5 and a director for Access Hollywood, Entertainment Tonight, Channel 4 Australia, and several independent projects. As an executive producer and director, Linda’s job was to tell a story, a skill which translates to success in the world of real estate. Her experience taught her how to help clients visualize what they want to do, so they may be able to fulfill their goals in the most efficient way possible. She believes every home has its own story to tell, and it’s her duty to tell that story to clients so they can transition seamlessly into the next chapter of their lives. Linda provides an unmatched level of service when it comes to helping clients figure out what they want to do in order to make any property their own. Whether it’s hiring the right contractor or designer, searching for the ideal neighbourhood, or finding a luxury home perfectly suited for their lifestyle, clients can depend on Linda’s expertise to guide them towards achieving stellar results. As a real estate professional, Linda is committed to providing an individualized strategy and process that can meet all of her client’s specific needs. Her extensive knowledge of the market, unparalleled professionalism, and ability to maintain the highest standards of integrity all combine to guarantee a smooth transaction. One of Linda’s main goals is to create long-lasting relationships that go beyond just a simple transaction. Her background in television has taught her the critical importance of effective communication – listening and communicating closely to clients during each step of the process are keys to success. For Linda, effective communication is not just about being clear and comprehensible, but about listening carefully and absorbing what people have to say, so you can see things from their perspective and fully understand their wants and needs. Throughout her career, Linda has always been intensely deadline-oriented, which means clients can count on her to always deliver superior results on time and on budget. With her experience in renovating multiple houses herself, producing and directing real estate programs for over 15 years, and leading her own company, Linda has developed the insights, knowledge, and strengths required to assist her clients seamlessly, from start to finish.